Auto Repair in Concord, CA has been a recognized name as a qualified auto mechanic specializing in auto repair for over 20 years. We offer complete car repair in the Concord, CA Contra Costa County area. We are centrally located at 2710 Willow Pass Rd Concord, CA 94519. If your looking for car repair in Concord, CA you've come to the right place. Fantastic Customer Service! Wow, this is some of the best and most helpful customer service I have seen. My car was on the blink and wouldn't start so I called Auto Repair and talked to Dexter who offered to have my car towed over to his shop for free. The tow truck arrived in less than an hour. The repair was a starter problem and was replaced in 3 hours. I was back in my car the same day and the cost was well worth the service. 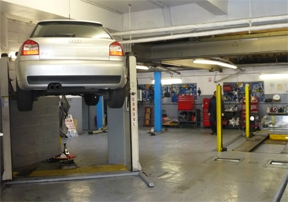 Auto Repair has the most experienced mechanics to service and repair most makes and models at a fair price. Auto Repair in Concord, CA employs highly trained seasoned mechanics to diagnose your car and truck problems and get your vehicles back on the road quickly saving you valuable time. As a business owner I would like to acknowledge other businesses I think deserve attention.